JEMISON, Ala. - Pastor Phillip Guin sensed a unique opportunity for outreach when debating what to do with the empty gully behind his Rocky Mount United Methodist Church recently. "This is an opportunity for us to reach out in the name of Jesus Christ in a setting that is completely unique. Even odd by some people's standards. But who's to say that church can't happen right here," Guin said, pointing at the red clay dirt of one of the area's most popular gun ranges. Turning holy-owned ground into a place to practice a deadly art wasn't originally about outreach, though, Guin told CBS affiliate WIAT in Birmingham, which first broke the story. "We had quite a number of church members, some elderly ladies, for example, and some not so elderly women that had purchased guns, but didn't know how to use them," Guin said. Initially, the range was just used to teach about gun safety, but turning the act of shooting into a ministry seemed a natural evolution to Guin. 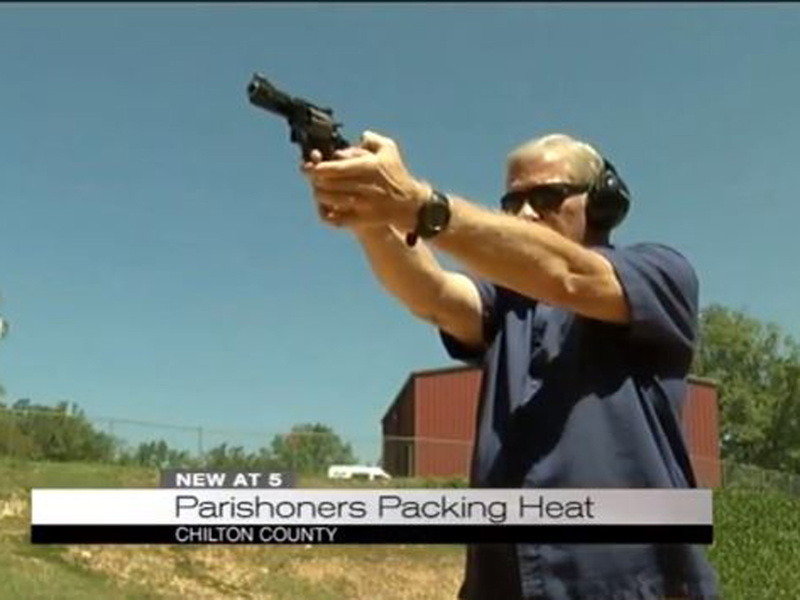 So far, only church members use the range, but outsiders have been inquiring. The local police department is also a fan. Deputy Chief Marc McMinn told WIAT-TV they train there on a regular basis and offer training courses to the public. Gun ranges have been opening in unique places and in unique ways as America's love affair with firearms has grown in the face of the proliferation of mass shootings. From "guntry clubs" where fine dining and leather chairs await shooters, to down-home dive bars, people are moving beyond dusty, remote settings to practice with their firearms.